In April of this year I looked out from my office in my rural village church to see the garden boxes readying for their fifth growing season. It didn’t seem that long ago I challenged our congregation to allow families and individuals to grow vegetables on our unused land. Nor did it seem that long ago that a few members of the parish took up the challenge and created a collaborative garden that has now become a community of its own. Renewing theological education for the 21st century, we equip religious leaders with the knowledge, skills, and pastoral habits necessary to guide congregations and other faith-based organizations into creating more redemptive food systems, where God’s shalom becomes visible for a hungry world. As the sun melted the last of the snow, I marvelled at how the mere existence of the garden transformed my own personal understanding of God and the story of resurrection, to become more and more rooted in how food and faith inter-connect. I am convinced that a garden, of any size or success, preaches the Gospel, and I continue to believe that one of the easiest ways to talk about Jesus is to head to a pile of dirt that is in the midst of growing a carrot (or other vegetables of course). Later this past spring I was called to a different community and today I look out the windows of a new office in an urban church called Julian of Norwich, Anglican. I am surrounded by boxes of a different kind. Big boxes that house more products and services than any human could ever need. Box upon box of stores, divided by vast parking lots, that prioritize the car and the busy drivers who are driving them. It is a vastly different landscape. And yet I’m called to grow something new in this place. Julian of Norwich Anglican Church has almost three acres of land within a neighbourhood with a diverse population, from families who moved in to post-war homes built in the 1950’s, to new Canadians who are trying to navigate life in the country they now call home. The parish is a recent amalgamation of two churches that came together in an attempt to become more sustainable, as many Anglican (Episcopal) churches that are declining are starting to do across Canada. Among the joys and challenges of bringing two groups of people together are the various processes, workshops, and dinners used to help determine how the journey will continue. What should we do with our land? What should we grow? How should we grow it? I imagine growers of any kind; gardeners, farmers, community builders, faith leaders, discerning students, entrepreneurs, also find themselves asking these questions throughout various chapters of their own journeys. Like when we find ourselves standing at the edge of a plot of land (metaphorically or literally) wondering what will grow in the soil that is in front of us; when determining what to bring forward from what has been grown before; when choosing what to plant and how to plant it; whilst wondering how deeply we will need to wade in the compost before new growth takes hold and begins to emerge; and, when we are concerned about the weeds and hopeful about the harvest. This is the place I am at with this new community. Looking out at the land and imagining who I am called to be as a grower in this place at this time. It is daunting, worrisome, exciting, humbling, and hopeful. Thankfully, the people of Julian have discerned that they are ready to take risks and be the people of God in new ways. Together we are planning to grow a new community filled with a hundred to two hundred affordable housing units, built to the highest environmental standards we can attain. We are seeking ways to bring together a diversity of individuals including single parent families, adults with various levels of physical ability, new Canadians, refugees, and many others. We plan on building community space and worship space that can be utilized by our own Anglican community and be open to other groups and other faith traditions. Gardens and greenspace will be found on roof tops and in a gathering area, that will sit at the centre of a variety of new buildings, spread out across the acreage. Partnerships are being developed with other not-for-profit organizations, that will plan and plant and cultivate with us, so that we grow an inclusive place for all; one that is not hindered by our own limitations but seeks strength through collaborating with the wisdom of others. As the first snowfall has hit here in Ottawa, I sit looking out the window of my office and I am filled with wonder (splashed with a little fear) about the many years ahead that it will take to cultivate this growth. It is indeed daunting, worrisome, exciting, humbling, and hopeful when we look out at what has yet to be created; when the hope of the harvest beckons us to work but yet feels so far away; when we aren’t quite sure what is going to grow and what will fail to thrive; when we know that the work will be difficult and that there will be many challenges along the way; when at our very core, whether we are planting carrots or new communities, we remain in hope that from whatever we grow and however we grow it, the Gospel will be preached. 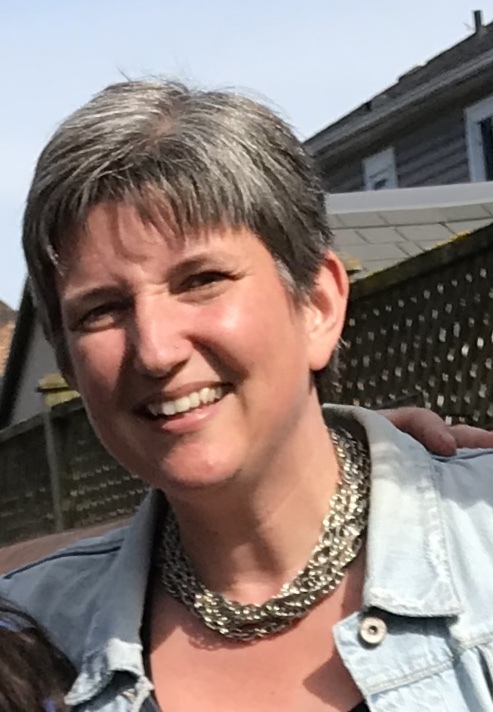 The Reverend Monique Stone joined the community of Julian of Norwich Anglican Church in Ottawa, Canada in May 2018. Her professional journey has taken many paths, from high profile roles in the private sector to consulting work in the areas of environmental sustainability and community development. However, it is her work as an Anglican Priest in which she attempts to fuse both her professional and personal commitments into one. From pumpkin carving gatherings, to a “Hunger Games” themed Church service, to gardening, to suicide-prevention programs, to encouraging cross-generational dialogue, her goal is to foster a dynamic where people pull together to make communities and lives better. Monique is married to Chris and they have two teenagers, Lily and Rory. Monique is trying to be better at making more things rather than buying them; her current attempt at making her own yogurt is failing miserably but her hope is to have had a successful batch by the time this article is published.